Bank of America is negotiating a deal with the Justice Department and a number of states that could lead to a roughly $12 billion settlement related to the bank's mortgage banking practices, according to a U.S. law enforcement official. 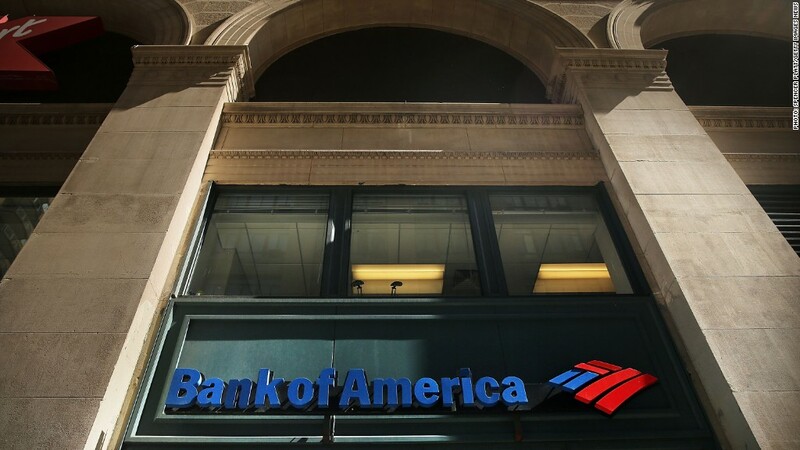 At issue are allegations that Bank of America defrauded buyers of mortgage-backed securities by misleading them about the quality of the loans involved. The securities in question consisted of home loans that financial institutions bundled according to their risk. The products played a key role in the 2008 financial crisis. Loans that were rated as safe began to fail in huge numbers as the housing market collapsed. Bank of America (BAC) declined to comment on the potential settlement. The U.S. official said a deal is still weeks away. The bank already agreed in March to pay $6.3 billion to settle four lawsuits filed by the Federal Housing Finance Authority (FHFA), which has overseen government-backed housing finance firms Fannie Mae and Freddie Mac. Those lawsuits also alleged that the bank falsely represented mortgage loans. Fannie and Freddie purchased billions of dollars' worth of mortgage-backed securities ahead of the crisis and required a government rescue in 2008 when those investments soured. The potential Bank of America settlement comes after JPMorgan paid $13 billion to settle similar lawsuits with the Department of Justice. As part of the agreement, JPMorgan (JPM) admitted to making "serious misrepresentations" to investors in mortgage-backed securities.